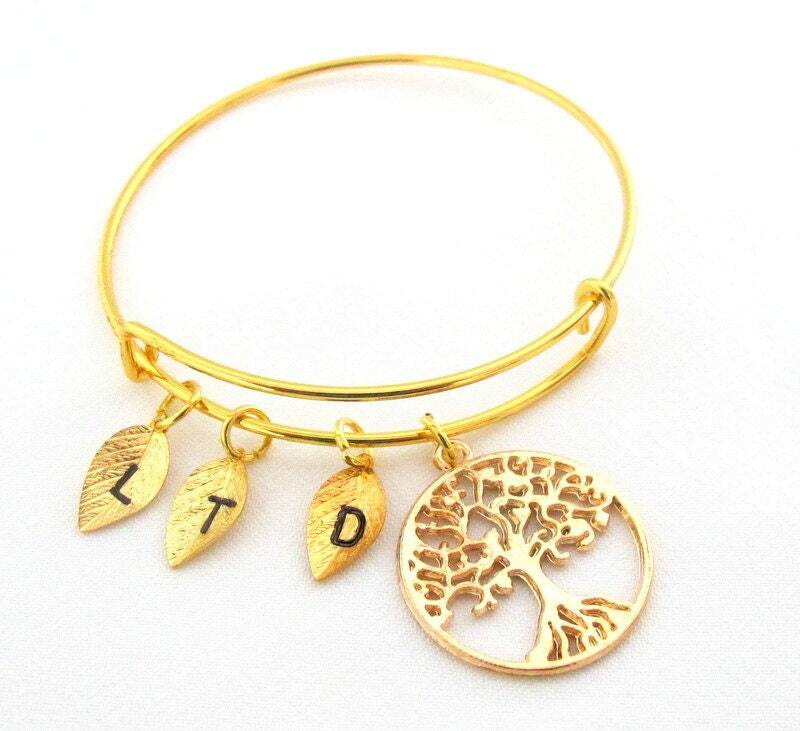 This pretty personalized =gold or rose gold bangle or silver tree leaf hand stamped with your initial. complete family tree bracelet. A special gift on Mother's day, gift for mom, Grandma gift, Nana gift, mother of groom gift, mother of bride gift. Please do mention initial or initials at in seller's note section at the time of checkout.